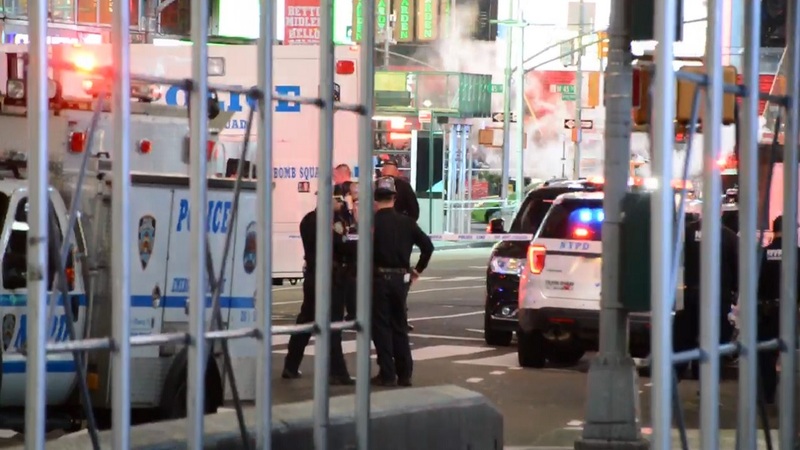 MIDTOWN, Manhattan (WABC) -- The NYPD has given an all-clear after investigating two suspicious packages in Times Square late Sunday night. Officials say the two items were suitcases - one containing clothing and another containing a water bottle. 44th Street was closed between 6th Avenue and 8th Avenue.